All great web design layouts start as PSD files before becoming web pages. Those who want their websites to have a custom design have to make sure they know how to convert plain layouts into active web pages. This method is known as slicing. It isn’t rocket science, but it requires a certain level of coding knowledge. Many people lack this knowledge, so they can either go for ready-made these or make use of a PSD to WordPress conversion service. The biggest advantage of such services is that you can have a custom WordPress theme for your website or blog, without needing to write a single line of code. You can even sell unique designs to your clients, and then deliver them a fully functional theme. This is the dream of all art directors and designers who can create awesome layouts, but who lack the knowledge required to slice them and turn them into HTML or WordPress websites. All you need to do to have your PSD design converted into a WordPress theme is to upload your design files and your specific requirements. Most of these services use experienced coders to slice your designs and turn them into web pages. Nonetheless, if you don’t want to benefit from manual coding, you can use an automated conversion service. They aren’t too bad, but you’d need to go through the files of your theme and make the required adjustments to optimize the code for search engines. If you don’t have any PHP and HTML knowledge, you should probably go for manual conversions, as they are performed with search engines in mind. Besides, manually created themes are thoroughly tested for bugs, crashes, and other known problems. The result is going to be a perfectly functional, ready to use WordPress theme. All that’s left for you to do is to install it on your website and define all your pages, menus, widgets and other elements. You may also need to upload your logo, but this is very easy to do, so you shouldn’t encounter any problems. Last but not least, by using manual PSD to WordPress conversion services, you can rest assured you’re going to have the specific theme you want, as these companies would work with you until you are fully satisfied with the result. Automatic services don’t offer you this privilege. However, some of them are free of charge, so if you are financially challenged, you could use them to start with. Next, with a little bit of learning, you can tweak the resulting WordPress theme by yourself to make it suit your needs. You’d have to spend more time on your project, but you’d save the money you may not have. As you can see, there are at least two ways to obtain a fresh and unique WordPress theme from a PSD layout. If you do care about your business, you should make sure your potential clients are going to remember your website, so consider making it unique. Internet marketing is an essential component of business success. With that said, all companies are not working with an unlimited cash supply. Here are some useful tips that will help you market your company without exceeding your budget. YouTube – The content-sharing giant receives so many visitors a day that it is difficult to keep count. That should be more than enough to convince you that this is somewhere you need to be. Since it does not cost anything to upload videos, you can get your message out there for cheap. You will only have to pay the costs associated with producing the video. These days, businesses are scrambling to offer e-books to customers and for good reason. This is an excellent way to get your name out there while establishing yourself as an expert in your niche. While you can offer free e-books as a way to reel people in, charging a couple of dollars means that you can make money that can add to your budget. As most people know, hiring someone to perform SEO on your behalf can be very expensive. The best way around this would be to do it yourself. Do not worry if you are not an expert since there are countless resources out there that will offer you all of the information you want to know. In fact, free and low-cost e-books and YouTube tutorials are a great place to start. Keep in mind that it is typical for people to have a fairly rough start when attempting to do their SEO, but you will eventually get the hang of it. With that said, once you bring more traffic your way and your profits increase, you can hire someone to assist you. This is a great way to attract new business. Affiliate marketing is a concept that involves having people market your company to others with the promise that they will be compensated for all new business that results. You can offer a cash incentive or a sizable discount in exchange for their help. The best thing about this is the fact that you will not have to pay for anything up front. It is much easier, and cheaper, to market your business to a particular demographic than to go all in and hope for the best. You will have to create less marketing materials, and you will only have to pay for one campaign. As your profits increase, you can expand on this a little, but it is best to hone in on a very specific audience for now. One thing that excites people more than the idea of winning something is, well, nothing. If you are looking for a great way to boost your appeal for cheap, you can use your social media account and create a contest. Offer a prize to the person who can provide the most referrals. The great thing is that some of them may turn out to be solid leads, and the only investment you will have to make will be minimal in comparison to all of the buzz that will be created. Internet marketing is essential, but you should not allow it to place you in a position that threatens the financial stability of your company. If you are looking for solid ways to bring more customers your way without spending more than you can afford, you should try one or more of the ideas mentioned here. Small businesses that don’t practice SEO are in a worse situation compared to the ones that invest in search engine marketing. Search engine optimization is one of the cheapest advertising methods for a small business to attract highly targeted traffic. Any business that doesn’t invest in SEO is leaving a fair amount of money on the table. In fact, they are losing a significant share of their customers to their competitors as a result. This is why it is important that you allocate an adequate budget for SEO. This article provides information on the most important benefits of SEO for your small business. The main reason you need search engine optimization is to increase your customer base. One important thing with SEO is the clients you get through such means are high targeted and already searching for your products and services. Hence, they convert on a better scale compared to most of the other outbound marketing methods such as cold calling, email marketing or even social media marketing. SEO improves your conversions, sales, and profits in the long run. SEO also makes your website mobile friendly. You only have to use a mobile responsive theme for this purpose. Just imagine the number of people using mobile devices today. You can reach all these people with the right kind of search engine optimization techniques. A successful online marketing campaign coupled with effective search engine optimization techniques will help you explore new markets across the world. There are billions and billions of consumers on the net to whom you can sell your products and services thanks to SEO. Social media networks and mobile marketing strategies will help take your business to a whole new level. All you need to do is incorporate SEO into your marketing strategy to achieve all these benefits. One of the hidden advantages of ranking on top of the search engine results page (SERPs) is the increased brand awareness and visibility your business receives. Consumers are more likely to trust a brand that appears on the top of Google or other search engines. Small businesses need a push to improve their brand awareness when they are just starting out. SEO is the best way to achieve this end. This is why you need to invest in search engine optimization for your small business. Search Engine Optimization experts helps you bypass your competition quite easily. Just imagine two businesses that have similar products for similar prices and marketing in the same niche. One business has a well-optimized web presence while the other business does not have that facility. Assuming all other factors are equal, the business with a better web presence will become highly successful in selling their products or services. In fact, you should not underestimate the power of search engine optimization since your competition will benefit from this mishap. Do not forget that your competition is already performing search engine optimization for their businesses. You need to start implementing SEO right now to prevent your competition from attracting the larger share of customers. A business that has a web presence is open 24/7 and 365 days a year. This is the magic of the internet and search engine optimization. You gain new customers even when your business is closed when you have a good web presence. These are some of the most important advantages of search engine optimization. In conclusion, search engine optimization (SEO) is one of the cheapest marketing methods to attract highly targeted customers to your small business. This article provides an overview of the most important benefits of SEO for your small business. Designing a website is about far more than choosing colors and graphics. There are many factors that should go into creating a robust design. If your goal is to create website magic, you should avoid all of the following mistakes. These probably make sites look nice, but they are a real pain when it comes to slowing down page load times. They are also unfavorable since search engine spiders cannot read Flash. Your best bet would be to use graphics created with a different program. You need to appeal to search engines if you want to rank well, but that does not mean this should be your only focus. It is also essential that you to make sure that your site is appealing to your intended audience. You might believe that this would make a site more eye-catching, but the reality is that you will only make it hard for some people to read the information provided. You need to ignore all of the fancy fonts and stick to something that is basic, like Arial or Times New Roman. There is nothing worse than having someone head to the contact section of your site, and they are greeted with a “Coming Soon” message or a generic form. If you believe they will jump through hoops to find a way to get in touch, you are wrong; they will just head somewhere else to get what they need. This means that you should offer your full details; incomplete information will not do. Address, phone number, email address and social media links should all be provided. The more methods of contact you provide, the more likely it is people will use it. 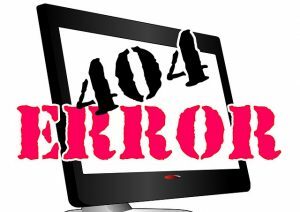 If people are given an error page every time they hit a link on your site, they will eventually stop clicking. It is your responsibility to make sure that every link works as it should. This means that you will have to check everything periodically instead of adopting a “set it and forget it” approach. Yes, that was purposely misspelled to give you an idea of how people feel when you they are on a website, and they are greeted by the grammar that leaves a lot to be desired. If you are not a wordsmith, that is fine, but you should always spellcheck everything to make sure that there are no errors. In fact, check it several times in case you missed anything the first couple of times you double-checked your content. You cannot expect everyone using your site to have the same type of device. As a result, you should concentrate on making the site accessible to all. Responsive web design is a concept that is based on the idea that people with all screen sized should have the opportunity to see quality content. Mobile use is on the rise, and it makes perfect sense to appeal to these users. Your site should look just as nice on a small phone screen as it does on a full-sized desktop monitor. If you are a website designer, make sure that you remember not to make any of the mistakes that were mentioned here. The idea is to make your page appealing search engine spiders as well as the end user. This will not happen if you ignore this advice and commit any of these web design crimes. Virtually everyone is connected online via their mobile devices. This is precisely the reason why you must consider using responsive website design to make sure you provide the best possible UX to your online visitors. Having one website that is compatible with multiple devices and screen sizes prove to be advantageous for your business. Even Google recommends it to all webmasters. If you’re still not convinced, then keep reading to learn the benefits of using responsive website design. By enhancing the user experience of mobile visitors, you can also improve different site metrics that may be beneficial for your organic rankings. There’s no question that Google take user experience very seriously. It is used as one of their ranking factors, which explains why websites with outdated designs tend to rank poorly in the search listings. Having a mobile-friendly website can help boost site metrics including time on page, bounce rates and some pages per visitor. All this can influence your rankings and generate more traffic to your website. Google has made it clear that they favor mobile-friendly websites. Their Mobilegeddon update created a lot of significant changes in the search listings. Users had been able to see which websites in the results pages were optimized for mobile devices. Also, a responsive website only needs one URL and HTML regardless of the device used by visitors. This is a lot more efficient for search engine crawlers because there is no need to index different versions of the same site. Perhaps the biggest draw of responsive web design is that it enables a website to provide the best user experience across all devices and screen sizes. It isn’t possible to determine the devices and screen sizes of your online visitors, which means you must be prepared at all times. Your site must also be able to provide a consistent user experience so that users wouldn’t have any issues browsing on mobile or desktop. For instance, a user that searches a product using their smartphone may choose to continue surfing using the desktop. If the website is only optimized for mobile devices, then what the user will see is a stripped down version of the website, thus making for a less than optimal user experience. If you have a separate desktop and mobile site, then expect your SEO campaigns to be a lot more stressful. On the other hand, a responsive website means you only have to worry about a single SEO campaign. This can help you save a significant amount of time and money. 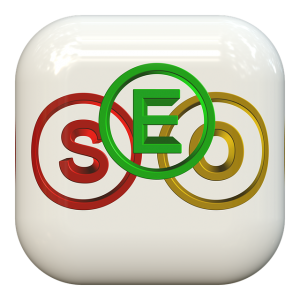 You must also consider using mobile-specific SEO strategies. For instance, you must learn how users search using their mobile devices. Mobile users may be more inclined to use certain terms, especially when using voice search. This entails expanding your keyword research strategy, but the extra effort will surely be worth it in the long run. Mobile sales have long surpassed desktop sales. This should be reason enough to make your website mobile-friendly. A well-designed website that provides a user-friendly experience can help generate more sales for your business. The different design elements of your website must be optimized depending on the device used by your visitors. For example, your text must be clear enough that it doesn’t require users to zoom into the page. Your call-to-action buttons must be big enough so mobile users can easily tap on them. The immense popularity of mobile devices has forever changed the way people surf the web. To stay competitive, you must make sure that you use responsive website design to boost your organic rankings, make your SEO campaigns more efficient and ultimately boost sales.